The Nerinx Hall Junior kicked off her season with a stellar performance this weekend at the All Catholic Invitational. She won the 100m with a new PR of 11.69 in the finals. She also ran 11.99 in prelims, which means she was able to break the 12 second barrier twice in one day after having only broke 12 once all of last year. That 11.69 currently sits as the MO #1 and US #18 in the 100m. 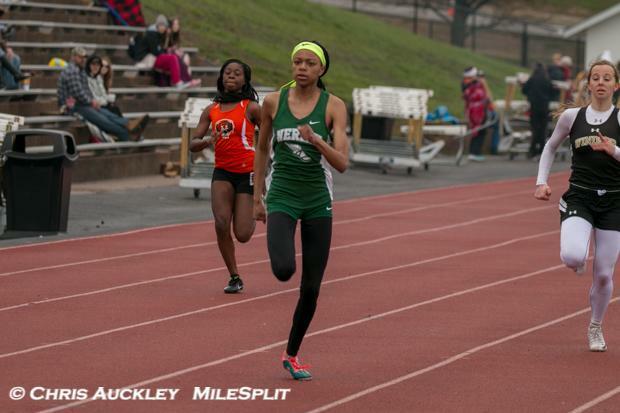 She also picked up a win with a MO #1 55.74 in the 400m, which is just a few tics off of her PR. It would appear her strong indoor season as carried over into outdoor. She is no stranger to these "Who Won This Week?" articles, but she's generally not in them for the 3200m. 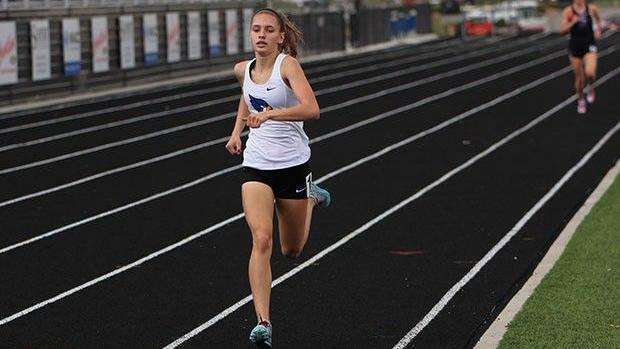 A multiple time state medalists in the 800m and 1600m, Hill has only competed in the 3200m a hand full of times. She was able run a impressive race solo, and shattered the 11:00 minute barrier with a 10:55, which is a MO #2 and is a 26 second PR for Hill. Should she switch things up and run this race at State, she would be a hands down favorite for another state medal. For the second time in three weeks, Tyra Wilson is a "Who Won This Week?" winner. She took first in the 100m Hurdles with a new PR of 14.21, bettering her already MO #1 mark from week 1. 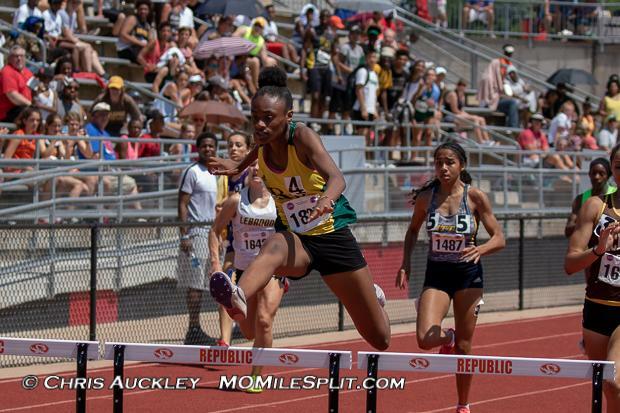 She also took first in the 300m Hurdles with a 42.81 which not only betters her MO #1 mark, but is also a US #15 and is just a tenth of a second from her PR. As if that wasn't enough, she also picked up the victory in the Triple Jump, with a MO #2 39-2. Hard to believe that she's only a sophomore. At this point, I don't think anyone in Missouri is surprised to Lee's Summit West on this list. Coach Griffin and company have certainly figured out something over there with the amount of success the Lady Titans have been able to maintain over the past few years. 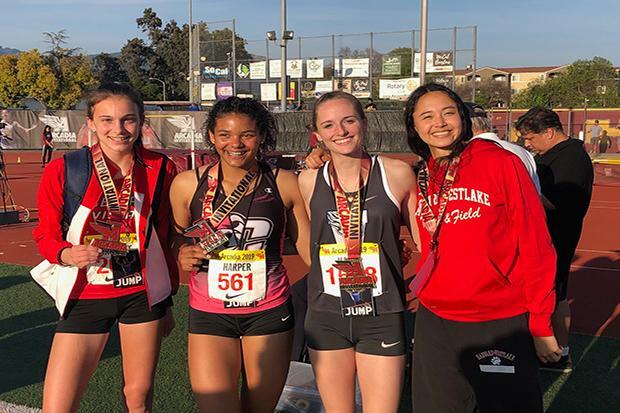 They traveled to California this weekend to compete in the famed Arcadia Invitational, and came back with some tremendous results. Jessica Haney is the first Titan on the list, and joins former teammate MaKayla Kelby as the only two female Missourians to have won at Arcadia. Her first place finish in High Jump came with a MO #1 jump of 5-8, just an inch lower than her PR of 5-9. Maddie Harris is next up, and she took 4th place with a big PR and MO #2 throw of 44-3. After a 7th place finish at State a year ago in Shot, it looks like she is primed to compete for a state title here in 2019. 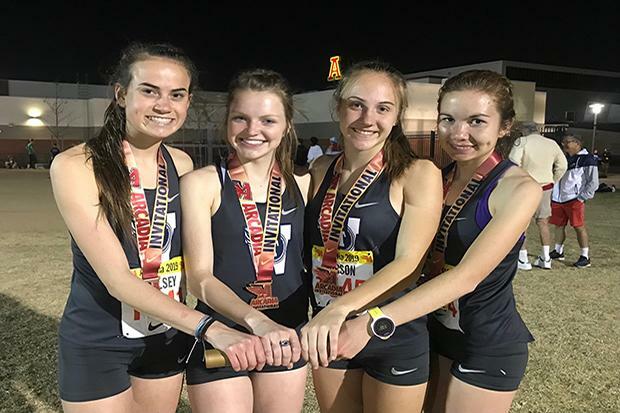 The Titan 4x800 team of Audrey Parson, Ginger Murnieks, Addie Mathis, and Madison Hulsey improved their MO #1 time with a 9:15.43, which took 4th place and is currently the 6th fastest time in the United States. 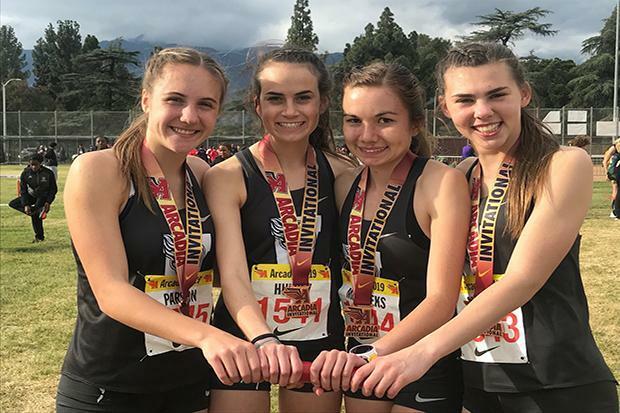 Their 4x1600 team of Murnieks, Mathis, McKenna Butler, and Hulsey took 5th place with a 20:53.53 which is also the 5th fastest time in the United States. Their DMR also put in a spectacular performance as Hulsey, Butler, Parson, and Murnieks took 4th with an 11:59.23 which was also the 4th fastest time in the United State this season.